Randy Berry, the new U.S. Ambassador to Nepal, presented credentials to President Bidya Devi Bhandari today at the President’s residence, Sheetal Niwas. “I am very happy to be back in Nepal in a new role. I look forward to further strengthening the Nepal-America friendship and I hope our diplomatic engagements will promote continued partnership and cooperation between our two countries,” said Ambassador Berry. The new Ambassador had previously worked in Nepal for two years (2007-2009) as the Deputy Chief of Mission of the U.S. Embassy. Ambassador Berry is a career diplomat and member of the Senior Foreign Service, class of Minister-Counselor. He has served as a diplomat since 1993, and spent more than twenty years abroad on assignment for the U.S. State Department. Most recently, he served in Washington, DC as Deputy Assistant Secretary of State for South and Central Asia in the Bureau of Democracy, Human Rights and Labor, a position he held since late-2016. Prior to that, he was appointed as the State Department’s first Special Envoy for the Human Rights of LGBTI Persons (2015 – 2017). The Ambassador marks his second assignment in Nepal, having served previously as Deputy Chief of Mission of the U.S. Embassy in Kathmandu from 2007 – 2009. 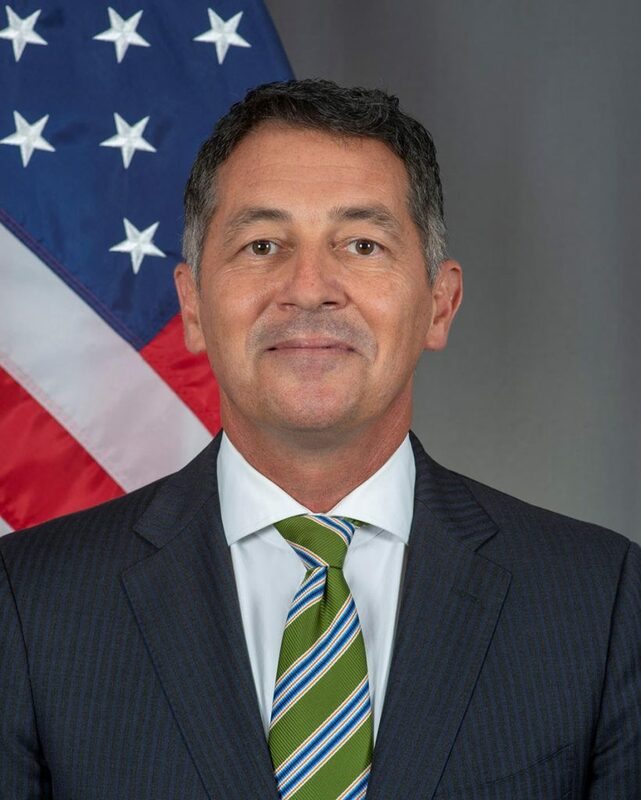 He was subsequently appointed twice as Principal Officer and Consul General, first at the U.S. Consulate General in Auckland, New Zealand (2009 -2012), and later at the U.S. Consulate General in Amsterdam, The Netherlands (2012 -2015). He served as Deputy Principal Officer/Consul General at the U.S. Consulate General in Cape Town, South Africa from 2003-2007. Ambassador Berry’s early career took him to postings in Bangladesh (1993-1995), Egypt (1996-1998), and Uganda (1998-2002), as well as previous service in Washington DC in the State Department’s Bureau of African Affairs. A rural Colorado native, Ambassador Berry earned his B.A. from Bethany College, Lindsborg, Kansas in 1987 and did graduate work at Adelaide University, Adelaide, Australia in 1988 as a Rotary Foundation Scholar. He is married and has two children.